Lexus’ latest flagship is an actual ship. The Lexus LY 650 is a 65-foot luxury yacht designed in concert with parent company Toyota’s marine division. 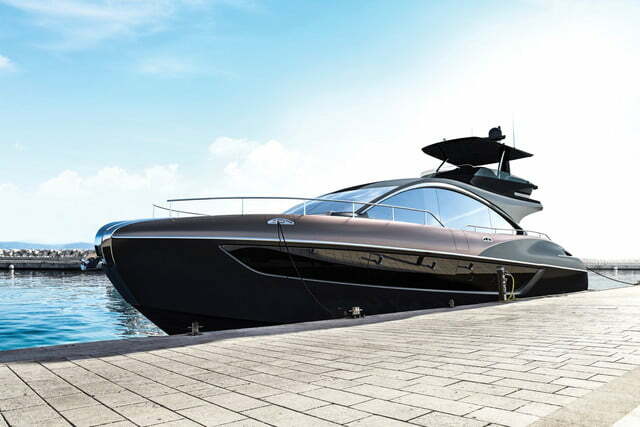 It builds on the previous 42-foot Lexus Sport Yacht concept, but unlike that boat, the LY 650 will be sold to customers. 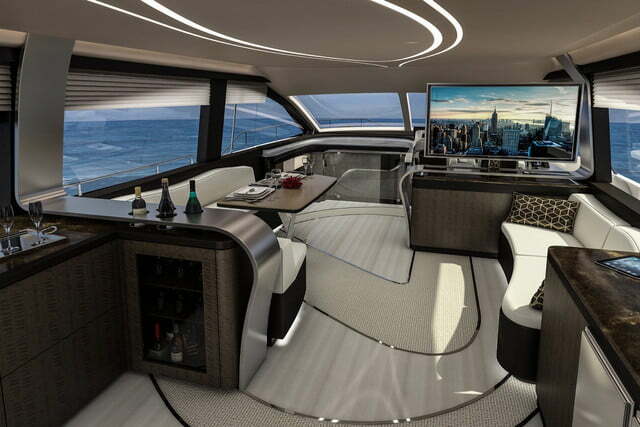 Styling cues from the Sport Yacht concept were applied to the upsized, 65-foot LY 650, along with elements of the “L-Finesse” design language used on Lexus’ cars. Lexus did not discuss any technical details, but the original Sport Yacht concept used a pair of V8 racing engines producing a combined 885 horsepower, giving it a top speed of 43 knots (49 mph). Lexus is just one of many automakers to apply its branding to a yacht. Aston Martin and Bugatti have collaborated with boat builders in order to make the transition from road to water, and Mercedes-Benz has a long-standing relationship with Cigarette Racing that has led to a series of boats styled to reference the German automaker’s AMG performance cars. But Lexus has more yachting credibility than most. Lexus parent Toyota has a substantial back catalog of boats. The Japanese automaker launched its Marine Business Department in 1997, and currently sells sport fishing boats and cabin cruisers in its home country under the Ponam name. Some of these boats use turbodiesel engines from Japanese-market versions of Lexus SUVs, including the 3.0-liter turbocharged four-cylinder from the GX 300d and the 4.5-liter twin-turbo V8 from the LX 450d. The GX and LX are sold in in the U.S., but with gasoline engines only. From 1998 to 2002, Toyota also sold the Epic line of fiberglass tournament ski boats and wakeboard boats in the U.S. These vessels used the 4.0-liter gasoline V8 from the Lexus LS 400 luxury sedan. The company views the LY 650 as its “fourth flagship,” alongside the current-generation LS sedan, LC coupe, and LX SUV. But unlike those vehicles, Lexus won’t build the LY 650 itself. The automaker will contract with Wisconsin-based Marquis-Larson Boat Group for construction of the yachts. Lexus expects the first LY 650 to be finished by the second half of 2019, with a public debut scheduled for sometime later that year.